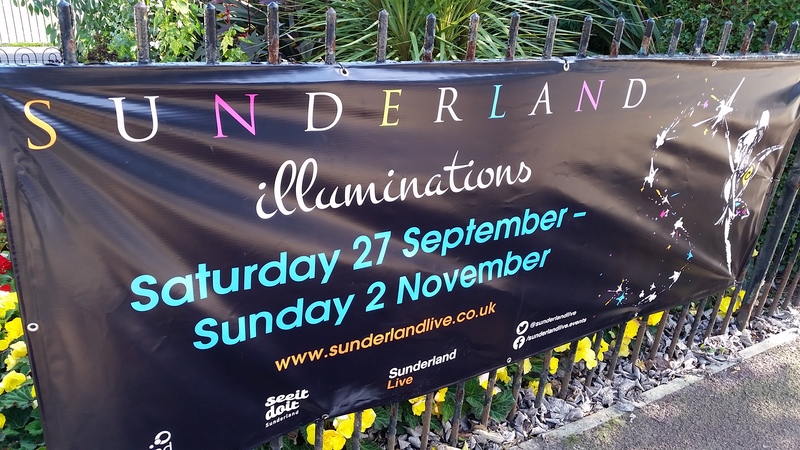 The Sunderland Illuminations are back bringing magic and sparkle to Roker Park as the nights get darker. 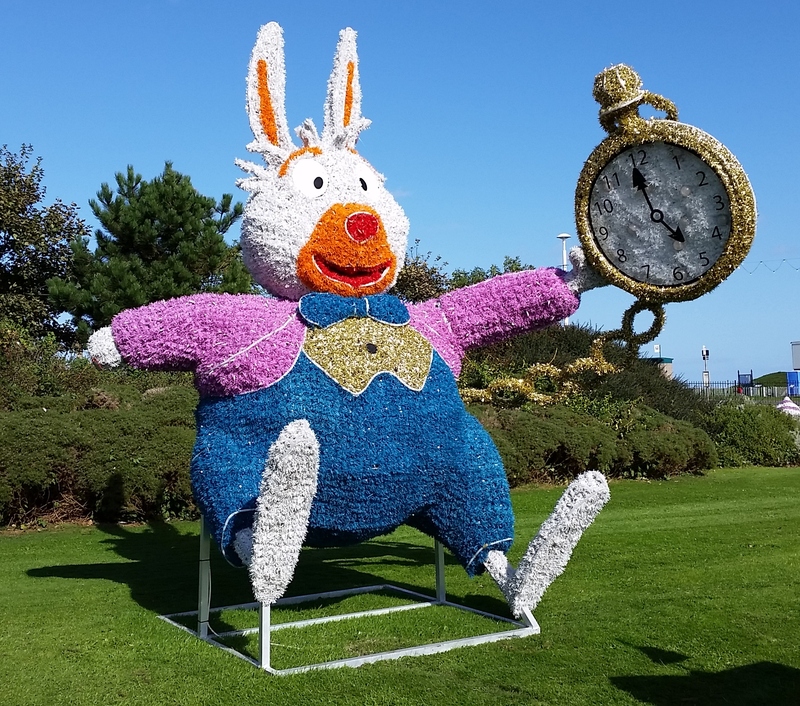 From 27th September – 2nd November the park and areas along Seaburn seafront will be lit up every night (5:00 pm – 9:00 pm) and just like the last two years, it’s absolutely FREE! 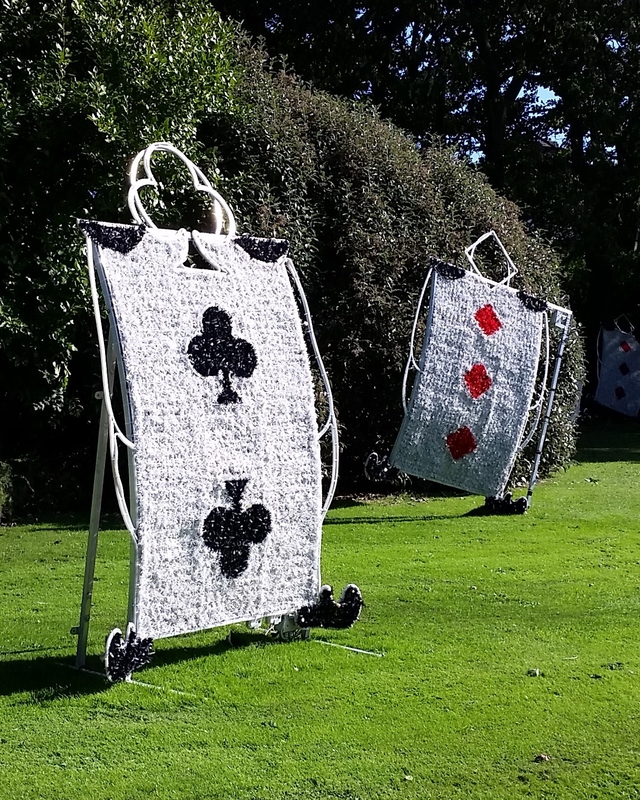 The Wonderland in Sunderland theme runs throughout the park with Alice, the Cheshire Cat, sparkly Playing Cards and the White Rabbit himself all making an appearance. There are fairy lights and a whole sparkling tea party to explore with lamp-lit reading plinths where the little ones can follow the story of Alice too. Sadly, the tap from yesteryears is yet to make an appearance – but the fantastic musical dancing water show will be on the boating lake and we’re promised a secret grove of fairies too! 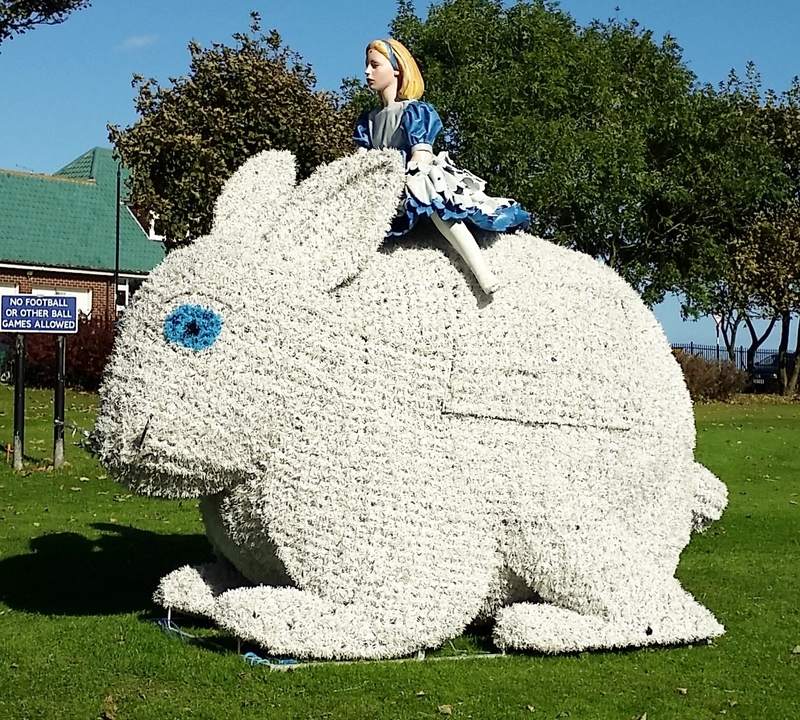 The Roker Park miniature railway will also be running on Friday, Saturday and Sunday evenings (5pm – 8pm) and you can purchase an illuminations booklet for the children to follow a Hunt the Rabbit trail and complete puzzles. Weekends will be a bit more special with extra activities, including storytelling by the characters themselves, coming to life – and giving out autographs to little ones. 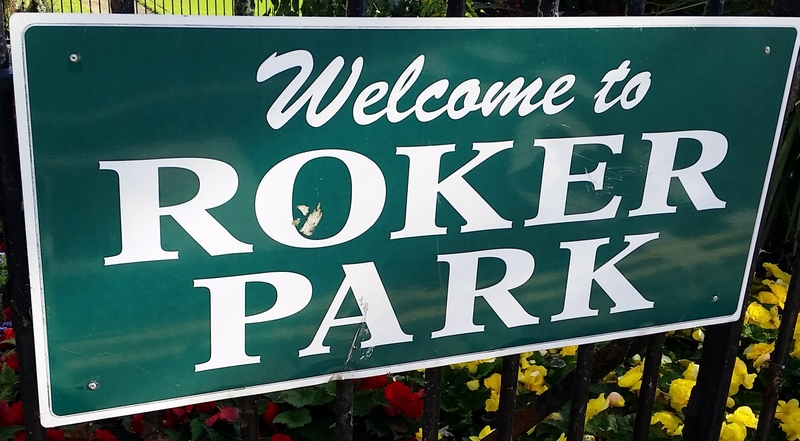 This year there will be a free park and ride service operating from Morrisons Seaburn and running along to the Roker Park Road entrance nearest to the boating lake. This will run every 20 minutes on Friday – Sunday evenings and daily during the half term. So no need to worry about tiring little legs out. 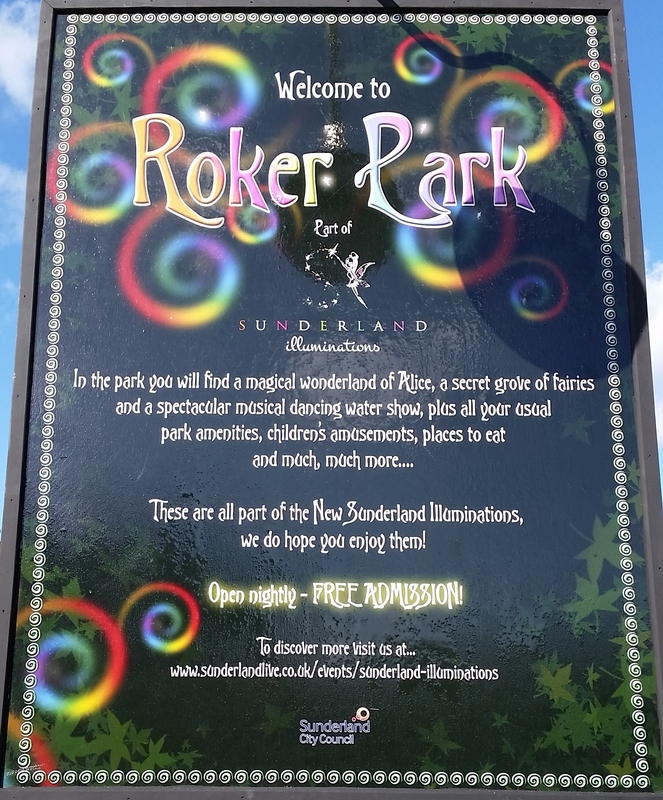 And as you can tell, there’s lots to see and do at the park during the day – including a brilliant children’s play area and walkway along to the beach. If it looks this fun during the day, I can’t wait to see it lit up! So wrap up warm, take glow sticks and have fun lots of fun!